All the signs lead me to you. As much as I try to joke it off or avoid what this is really all about, it’s still so completely insane to me… And to you, I’m sure. Ok, so horizontal running doesn’t count!! So the first step is making the decision (not the wishy washy one that includes some sort of “if” or “but”) to run/walk/jog/be active in whatever activity and keeping that promise to yourself. Step two is surrounding yourself with the right people with positive attitudes and experience with a willingness to teach you and setting incremental goals that continue to push you throughout your journey. And step three… its getting the right the “schtuff” – the gear, the goods. Listen here. Got a pen? Write this down. If you can walk from your front door to your bedroom, you can run. I don’t wanna hear all this nonsense about you having some bum knee from when you were in school or you have weak ankles or get shin splints or (insert any other ridiculous excuse here), you can run. Seriously! You can! But you have to WANT to do it, you have to LEARN to do it right and you HAVE TO HAVE THE RIGHT SHOE FOR YOUR… YOUR FOOT…. NOT ANYONE ELSES… NOT YOUR FRIENDS… NOT YOUR BROTHER/SISTER/CO-WORKER/STRANGER etc FOOT. You have to be fitted correctly to have the shoe match your foot and your stride. This cannot be done at a Big-Box athletic gear store. You MUST go to a small personalized running shoe store to get this kind of attention and guidance. Next thing… especially if you are a GIRL, just keep your eyes closed. DO NOT PICK A SHOE BY ITS COLOR. DO NOT PICK A SHOE BY ITS LABEL. Pick the shoe that was recommended to you by the run shop at the fitting. It may cost you a few bucks more but once you ask WHY that shoe is best for you and your goals at that time, you’ll receive advice that is priceless. These were my first pair of running shoes. They are the Saucony Cortanas. They fit my feet. The pink ones with a really cute flower on the side of the shoe that were right by my Sauconys on the rack were much prettier. But I trusted German Medrazo (owner of Valley Running Company) with his recommendation for me and was right in doing so. 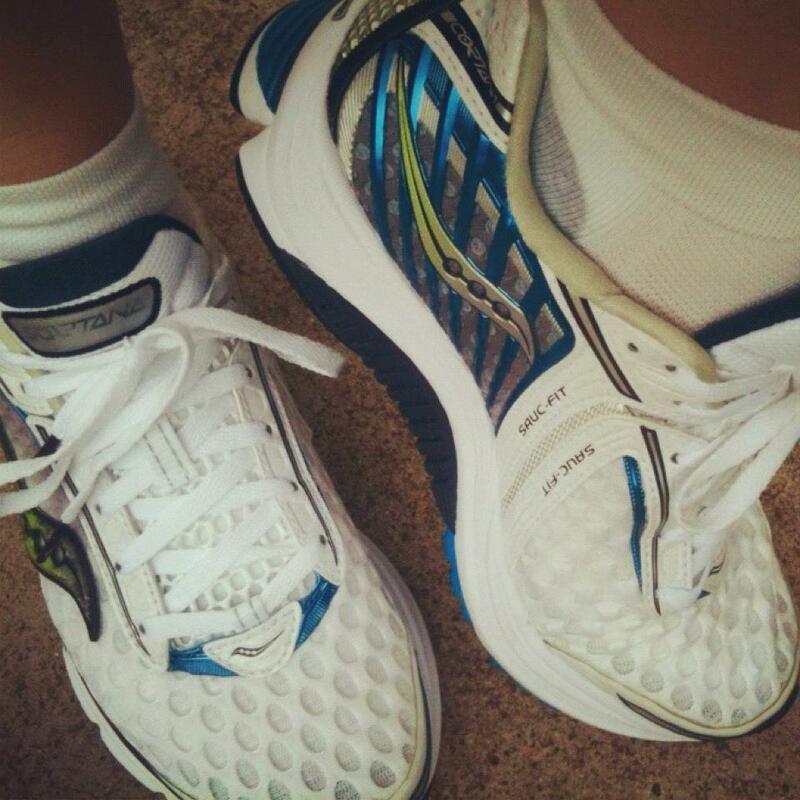 I immediately saw the difference in my next run with them… and never wore my old shoes again. I change out my shoes about every few months because of the number of miles I put on them and how quickly I wear out the soles. German now knows that I trust him and his sales staff there and now makes an effort to order me schtuff in my signature color (orange). A unique kind of friendship has formed as a result. They all cheer me on and support me out on the trails and in the races. With no offense to the sales person at Academy, the level of assistance I have received from VRC has been unparalleled. The big department stores are not built to service customers like us in this stage of the journey. Had I begun to run with pretty shoes on sale, I know deep down in my heart that I would have developed shin splints, hurt myself in my first few runs… and given up on running all together. And that happens a lot to a lot of people!!! They give up thinking its because they think they just cannot run when its actually a wrong shoe choice. More little side notes: choose a good sock. I personally will not run in any sock other than Balega. Cotton socks worn for long distance runs will give me blisters. They are a bit more expensive than your regular cotton socks and you need to learn to wash and dry them correctly so that they don’t go out of shape or wear out but you won’t get blisters with them. And in my book, that’s sooooo worth $5 more!!! You can shop around and see if you find others that you like better… but it’ll cost you! Compression socks: got shin splints? These help. I could NOT have finished my second full marathon without them. Got thick thighs? Don’t learn what chaffing is. Just trust me on this… start off wearing compression shorts when you run until you feel you could be the stunt double for a Baywatch lifeguard. With all the new pains you’ll be dealing with during the initial part of running, the last thing you need to deal with is a painful rash between your thighs. For the love of all that is holy!!!! PLEASE WEAR A FIRM FITTING SPORTS BRA. Like shoes, each body is different and all bras are made differently. Take the time to find the right one for you. I lucked out. The Victoria Secrets sports bra was just awful on me. Wal-Marts bras were 1/25 of the price and I can even use them under my triathlon suit and swim in it!!! cha-ching! I can use that savings on my shoes!!! Don’t run in cotton shirts. When you sweat, they get heavy and weigh you down on the trail. Tech tees wick sweat away and are everywhere. 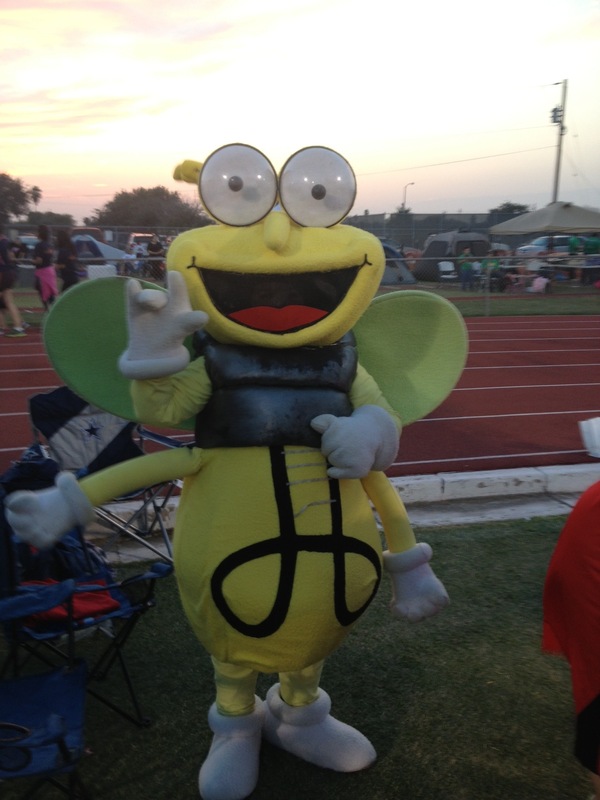 They’re also quite expensive so I’ll share with you some advice… It costs on average about $10-30 to run in a local 5k. Most of the 5ks in my area will give you a finisher shirt. Yep, you guessed it! A tech tee shirt! One that doesn’t cost you $45 (See! I’m your own personal coupon resource now) Run your local 5ks, get a shirt, help a local organization/cause and you also get a great Saturday morning sprint workout!!! What a bargain! Start your run shirt collection ASAP. Get yourself a good foam roller, tennis ball and golf ball. 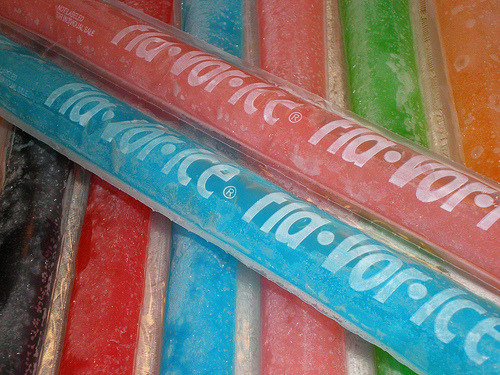 You’ll learn to love these EVERY night! Get some KT Tape and youtube instructions on how to use it on whatever particular pain/strain you have. Body glide is also something you’ll eventually need if you refuse to wear compression shorts and want to wear those tiny little crossfit shorts all by themselves. You should also know that if you buy those cheap popsicle tubes and freeze them but DON’T tear them apart and eat them, they fit PERFECTLY around your calves if you keep them attached together and frozen. This was probably one of my fave tid bits when I first encountered shin splints as I increased my mileage. Now go back to your running shop that you’ve begun to go to for advice and ask them if they know of any run clubs or classes that you can go to. Classes and clubs help keep you on a schedule. What?!?!? You’re telling me that you just came back from your local run store and found out that there are NO running clubs or classes in your neighborhood? Well then, click here for information on how to join Team in Training. It’s fool proof so long as you stick to the plan and put in your workouts. You’ll quickly befriend other newbies that feel just as nervous as you do and buddy up. You’ll get lots of encouragement from the experienced and newbies… it makes all the difference in the world especially on those days when you really don’t want to go run!!! So now you’re up to speed on WHY I’m running and WHY I can’t stop since you’ve read that last post from yesterday. Now the question goes to HOW did you start actually RUNNING? Two friends of mine had already planted the seed in my head. It just made sense to do what they did. 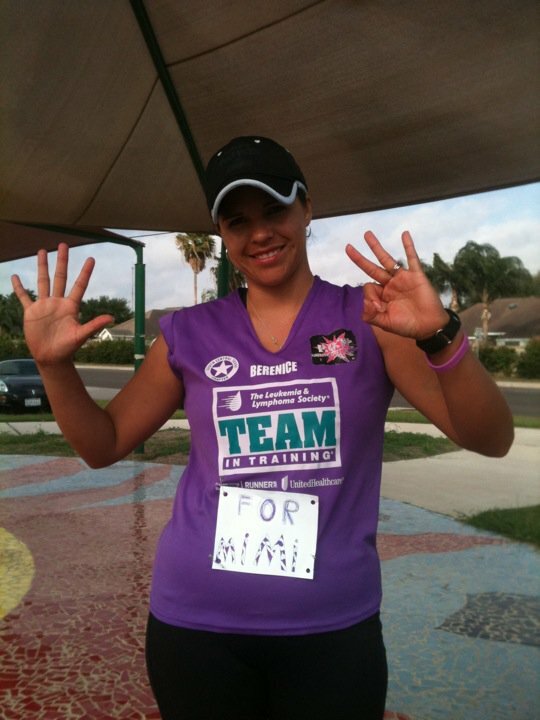 Berenice and Paige had both dedicated their runs with Team in Training to my mother and to Sissy. I’ll be honest, I was really intimidated. They were both athletic, slim go-getters. I was a flabalanche. But a promise was a promise and I wasn’t about to back down. Sissy meant too much to me and deep down, I knew the reason she wanted me to do this was nothing but good for me. So I made the phone call to the local LLS/Team in Training office and left a message. I don’t remember what I initially said in the message but when Jean Gearhart called me back… I think I counted at least 17 times that I said “I’m not a real runner”. She reassured me that I would be fine and would soon be running and ready for my first marathon. Determined and scared outta my wits, I knew what I had to do. I said it and now I have to do it. 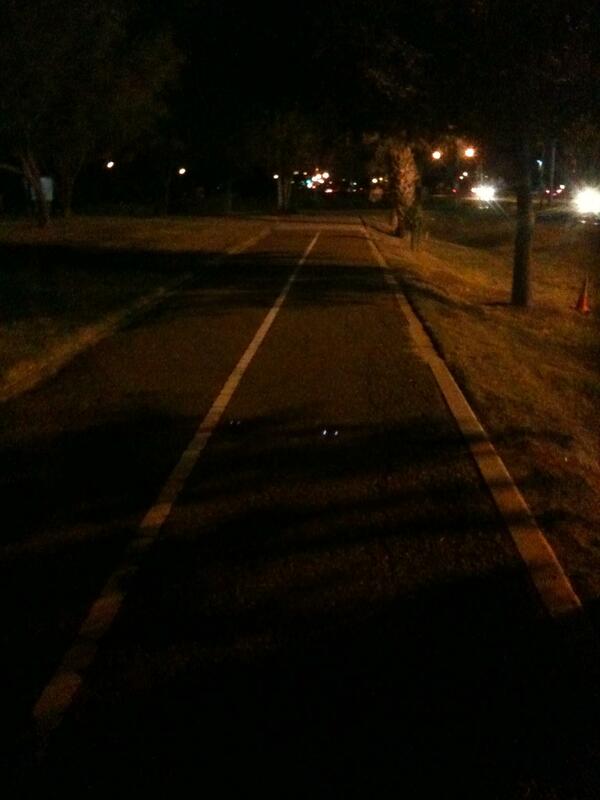 So I went to the Bicentennial Street running trail a about 9:30 p.m. (so that no one would see me), took a deep breath… and “wogged” (thats my super technical term that means walking and jogging) as much as I could. I wogged from one light pole to the next. Then I walked from that light pole to the next. Then I jogged from that light pole to the next and so on and so forth. I went back every night for two weeks after that and increased the distance of my jogging each time. This was about the middle of October 2011 and into November 2011 that the above was done. My training with Team in Training was to begin in January of 2012. I was so afraid that I would be the last one in on the team and hold everyone else back. So I pushed harder. 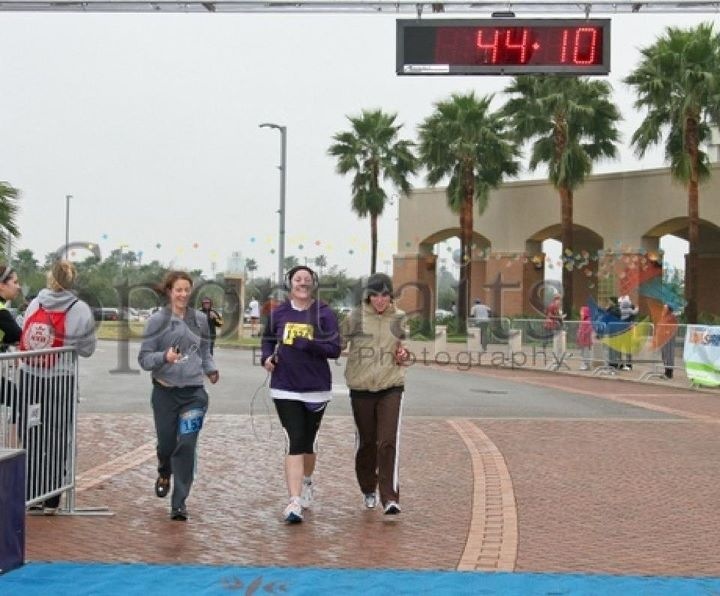 It was November of 2011 that I was able to run my very first mile… EVER. 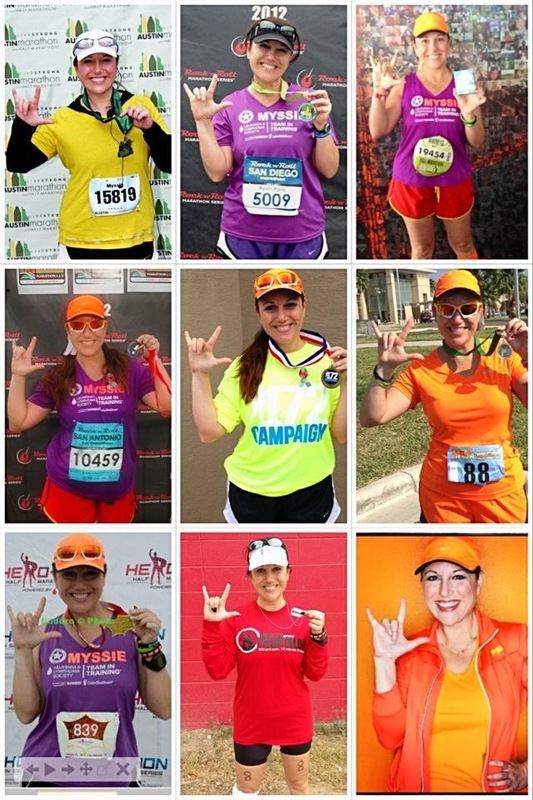 I continued with my own personal training on that trail and entered my first 5k the following month, the Fiesta Marathon. 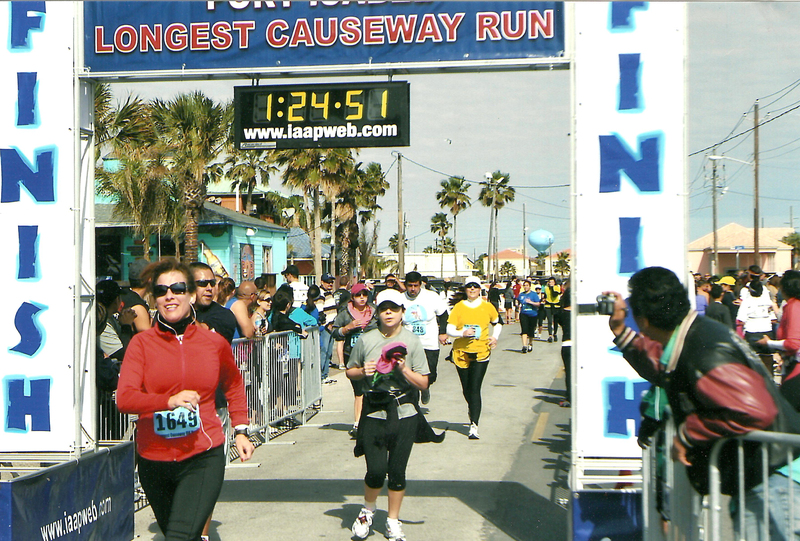 The following month, January 2012, I entered my first 10k – the Longest Causeway Run at South Padre Island. 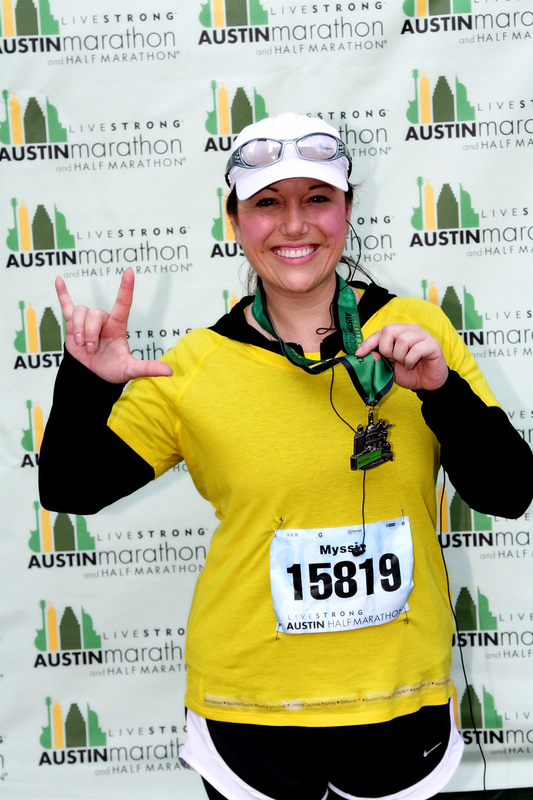 The following month, February 2012, I entered my first half marathon – LiveSTRONG in Austin, Tx. And the questions continue… What keeps you going? Most people quit when it gets too tough or when it interferes with work/children/family/life schedules. How do you do it? I’m not perfect. I don’t know everything. BUT I do know a lot of people who can help improve me and know a lot more about this subject than I do. Momma did a great job of teaching me to push myself and surround myself with people who are better at whatever task I’m focused on and super supportive people. I signed up with Team in Training. In addition, I did the “beginner class” at Valley Running Company. I went further and signed up for private run coaching with Coach Hector Gandara. This all happened in 2012. Note that I had an enormous amount of professional trainers supervising me throughout the year. Another important factor is that I took the time to visit with my family doctor, Alison Garza (who is also a runner). She did a full check up on me. I did my colonoscopy and a cancer gene screen. (*I’m fine) Did a full exam, stress test and sonogram with my cardiologist BEFORE I went into this journey full blast. 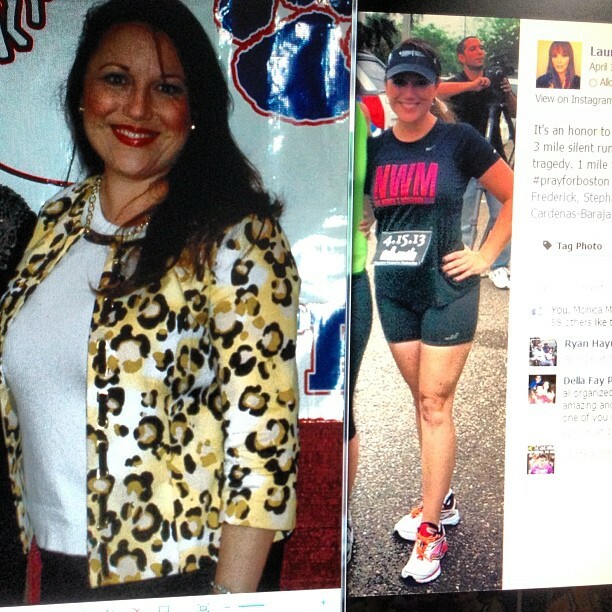 But probably the most important part of what kept me going when things got tough was my run club. 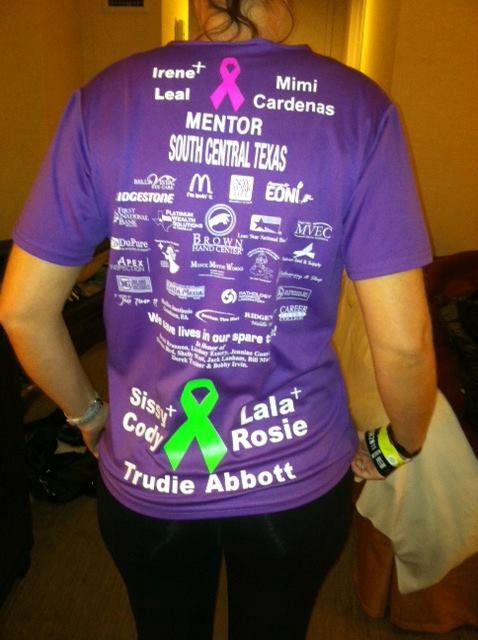 I do belong to a number of running groups all over the Rio Grande Valley but one stood out from the get go. The all women group of Run, Walk or Crawl are women of all shapes and sizes and various fitness levels but we all have our own fitness goals and each of us respects them and encourages the other to reach them. Just so you know… “so-and-so” had never run a marathon. She just looked really good at the gym. When I told the girls of Run Walk or Crawl that I was thinking of quitting because of what was said to me, boy oh boy did they let me have it! I went on to run 2 full marathons and 5 half marathons after that… and the best part… I was able to be waiting at the finish line for “so-and-so” to finish her very FIRST half marathon after all of that. Run Walk or Crawl has a saying on the back of our running jerseys. It says “NEVER EVER GIVE UP”. I recently posted a before and after picture of myself on facebook and immediately received countless messages asking how I got started and how I stay motivated. So this is what happened. In a kingdom far far away, there was a princess. She had the perfect life full of love and happiness, friends and family. And one day an evil villain – named CANCER – came and took it all away from her. It was that next week that she went to the doctor and found out that she had stage IV colon cancer. She remained strong and almost looked forward to chemo so that she could beat it. She never let anyone see her down or struggle in pain. She never allowed anyone to see her throw up. She never let people know that she was upset that she lost her hair. She never gave up. Never. Sissy, Donny and I managed things at home while she was away in Houston. Stress was getting to all three of us. In our minds, we were never as strong as Momma. Sissy kept complaining of feeling weak, tired and that her “tailbone” hurt. And then she fell. 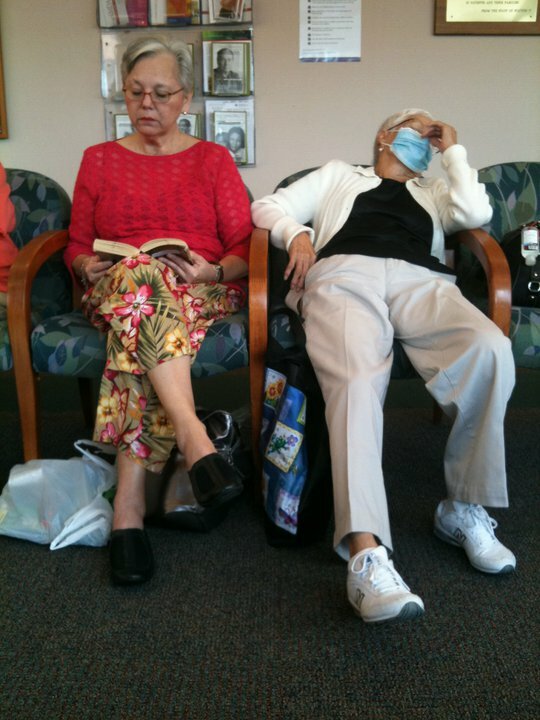 That’s when test showed she had leukemia. Sissy never married. She had no children. She had no caretaker. In fact, her best friend, Janie, had just been diagnosed with breast cancer and she was acting as her caretaker. Take note of this – My Momma, who had cancer already, stepped up and became Sissy’s caretaker. This shows the character and strength and faith of my mother. Momma carefully scheduled both of their chemos as to not conflict with each other so that Momma could be strong enough to be there for Sissy when she needed her. We had lots of ups and downs. Sissy was told she was cancer-free twice. Mom was never given that news. Donny, my baby brother took the stress of it all harder than any of us. He moved down from San Antonio, was going through a divorce and was notified of a layoff in a few months. It was too much for him. He died suddenly of a stroke. However, Momma kept fighting. The time came when it was too much and I dropped all that I was doing to step in. Momma was told she had to go in for gamma laser surgery to remove 5 tumors from her brain – the cause for her falls recently. 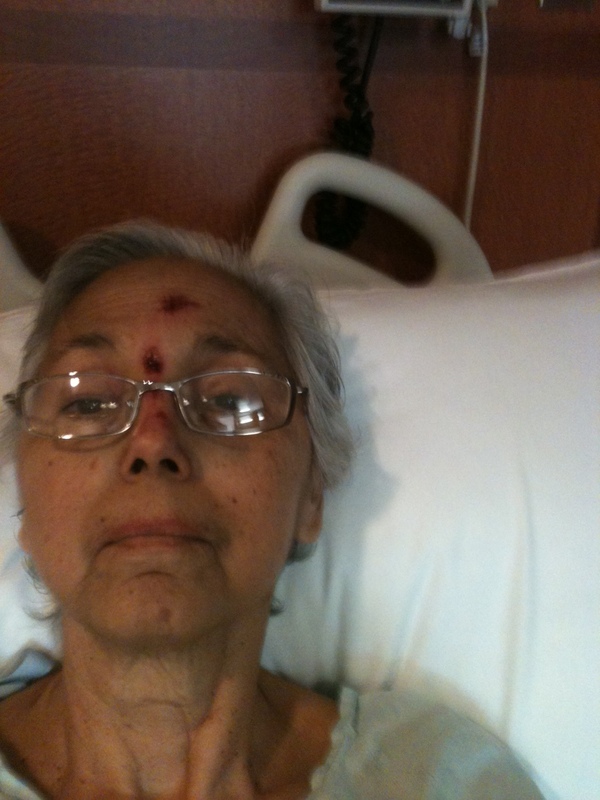 Momma snapped a picture of herself with her phone and sent it to me reassuring me that it looked worse than it really was. She kept saying it was fine. But she wasn’t. They ended up finding nine tumors total that morning. Cancer was spreading quickly throughout her body… all over her body. 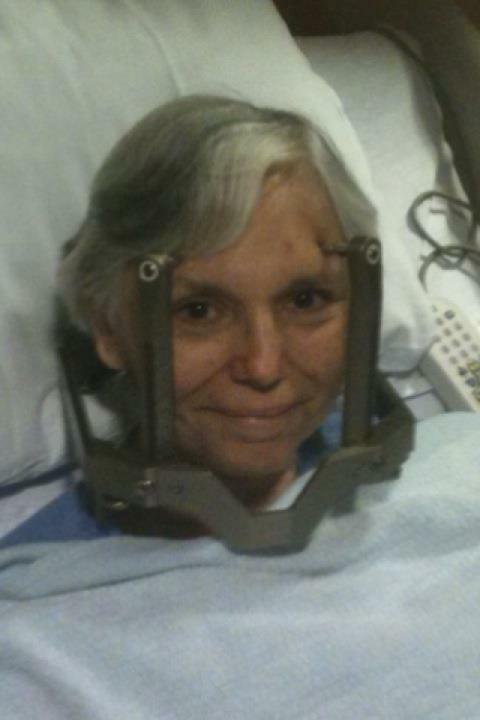 With a “crown” drilled into her head and ready to go into brain surgery, Momma still managed to snap a picture of herself to me letting me see that she was smiling and ok. While Momma was down in the basement of MD Anderson in surgery, I was up in Sissy’s room with her. While you may not believe me at first, I really am quite naturally an introvert and enjoy quiet time to myself so I’ve always been ok with the long 6-7 hour drive from home to MD Anderson. The moment I reach Buc-Ees, I always called Mom and Sissy to let them know I was just around the corner. On that particular visit, I sent them a picture of a tree hanging on the wall as I entered the girls bathroom. You can see my reflection in the glass. We had the best heart to heart that day. She told me about all the wild and crazy times she had dancing at bars in Mexico – this was shocking to me because all my life I thought Sissy lived the life of a nun! She also told me that she had noticed a decline in my health, weight gain and serious stress on me since the death of my baby brother, Donny. She told me that I needed to take better care of myself because life was only going to get harder on me. She said I needed to find a healthy outlet for all this stress that was to come. She passed away two weeks later but not until I was able to drive up there and walk into her room. Momma was in another section of the hospital getting her treatment. Their cousin Cynthia was in the room. (She lived in Houston and was there with them every single chance she got) Immediately, I grabbed Sissy’s hands. “I’m here now Sissy. I’m here now. Don’t you worry about me. I’m going to start running for you… because of you. And as long as I can, I won’t ever stop for you… because of you. I promise.” And then she took her last breath. Two weeks later, I was cleaning out her house, packing up all her belongings when a box fell on my foot. 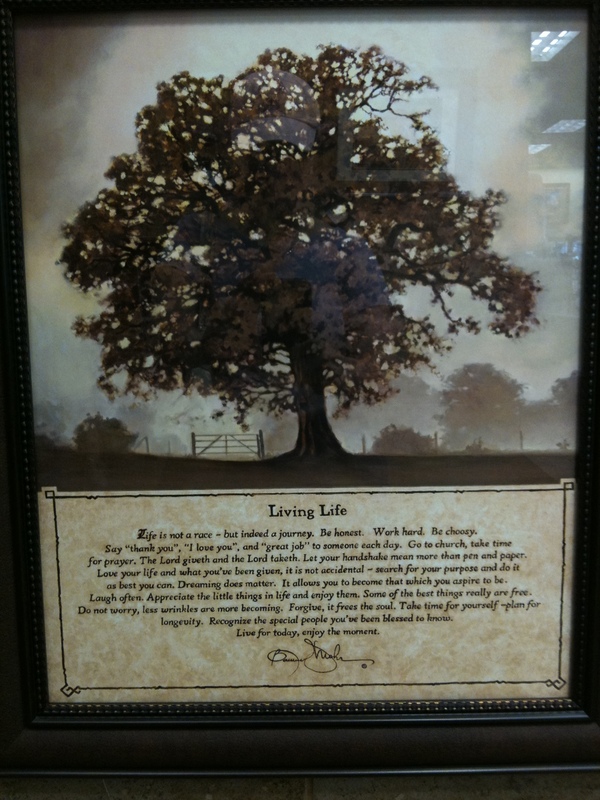 I opened up the box and there was the picture of the tree with the Buc-Ees price tag dangling from it. I had not started running and to me, that was a sign from her telling me to get on the ball. That was enough to get me to Valley Running Company and buy my very first pair of Saucony running shoes. When you make a promise like that… how can you break it? That’s how I started. That’s my motivation to continue. I don’t wish it upon anyone. Click HERE to donate online and help me keep my promise to Sissy. There are some days that I just don’t have the gannas to go work out. I need those magic brooms STAT!! !